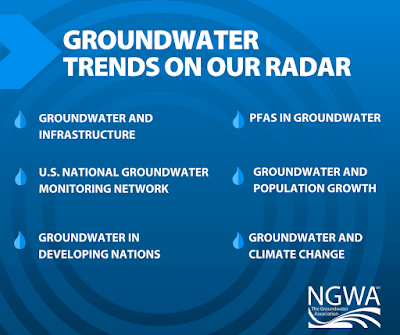 Next week, the National Ground Water Association (NGWA) will once again celebrate National Groundwater Awareness Week (#GWAW2018). An annual observance established to highlight the responsible development, management, and use of groundwater, the event is also a platform to encourage yearly water well testing and well maintenance to prevent waterborne illnesses. Established in 1999, #GWAW2018 provides an opportunity for everyone to learn about the importance of the resource and how it impacts lives. During the event, NGWA encourages folks to ask, “what do you know about groundwater?” Prior to joining NGWA, the only thing I knew about water was when you turn on the tap, water fills your cup. 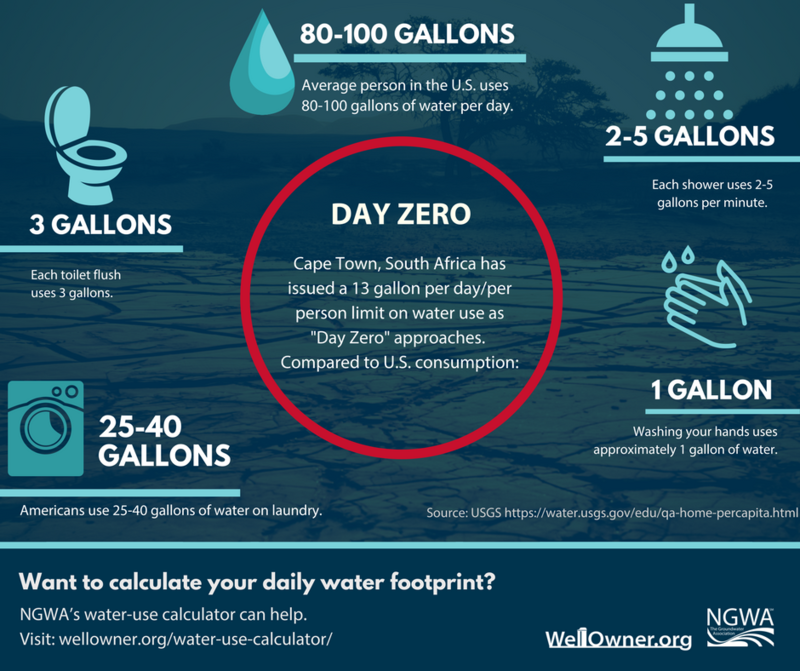 But I now understand that’s not the case for millions of folks around the world, and even for many people in the American West who are dealing with drought conditions and overuse, a situation which recently led Cape Town, South Africa, to implement a 6.6 gallon daily water-use limit per person. 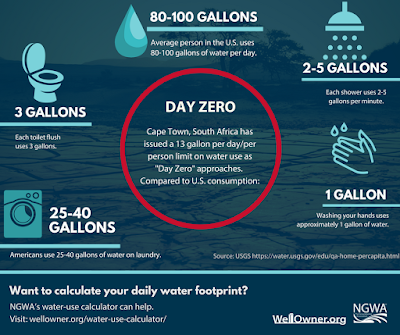 Here in the States 132 million people rely on groundwater for drinking water, so, simply put, it makes life possible. 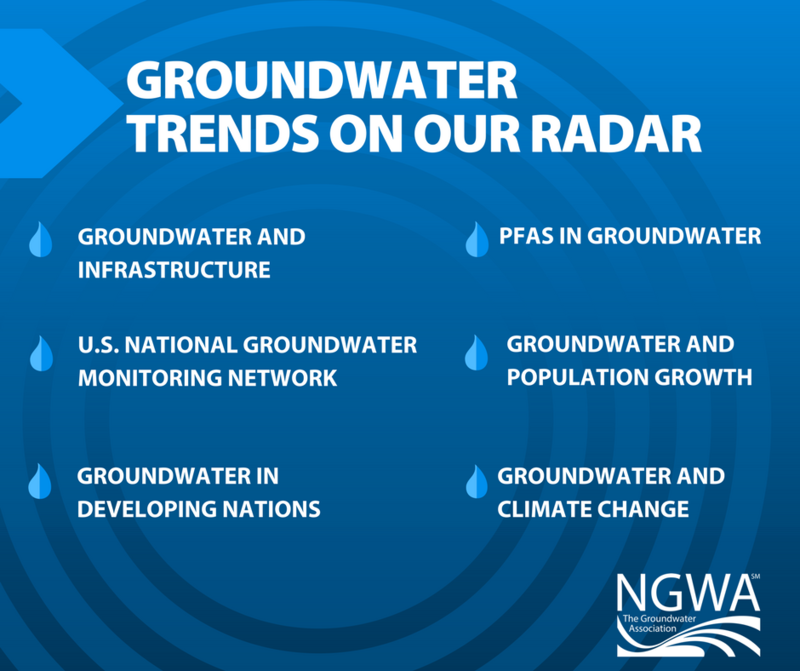 Groundwater is used for irrigation, livestock, manufacturing, mining, thermoelectric power, and several additional purposes, making it one of the most widely used and valuable natural resources. During #GWAW2018 we’re asking folks to think about how they’re using groundwater, and to share their stories on the ways they’re reducing their groundwater footprint. So, if you decide to take an 8-minute shower as opposed to a 10-minute shower every day during the week, share it! You never know, there could be a prize for the most creative and impactful submission! If you’re a private well owner, the 2018 #GWAW2018 theme of “Tend. Test. Treat.” was established to encourage a more holistic approach to sustain an adequate supply of quality groundwater. Testing your water might prompt well inspection and maintenance, and water treatment can mitigate naturally occurring contamination revealed by the test. So, test your water, tend to your well system, then treat the water if necessary.